OAKHURST — You may notice things around town looking a little more spooktacular than usual this time of year. 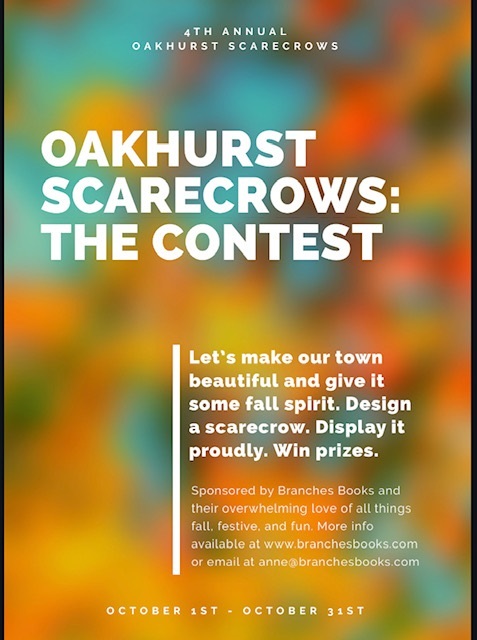 That’s because the fine folks at Branches Books & Gifts have once again invited the community to participate in the month-long, annual Oakhurst Scarecrow Contest running through October right up to Halloween on the 31st. The friendly competition is open to all — including businesses, schools, establishments and anyone who wants to be a little extra festive. 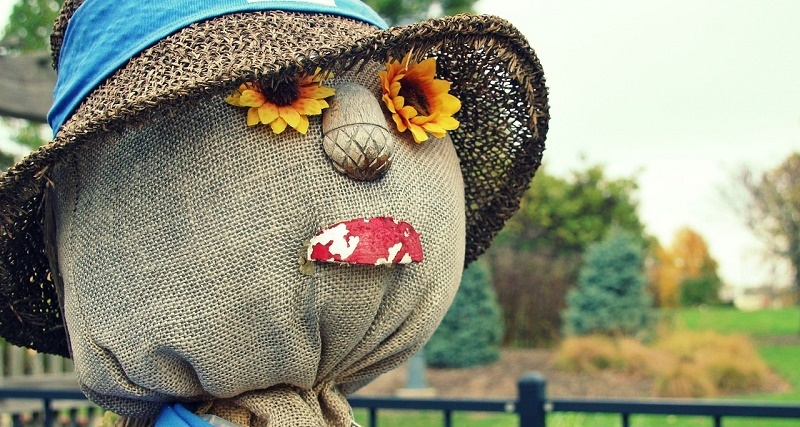 You could even put a scarecrow in your vehicle’s passenger seat and have a mobile experience. 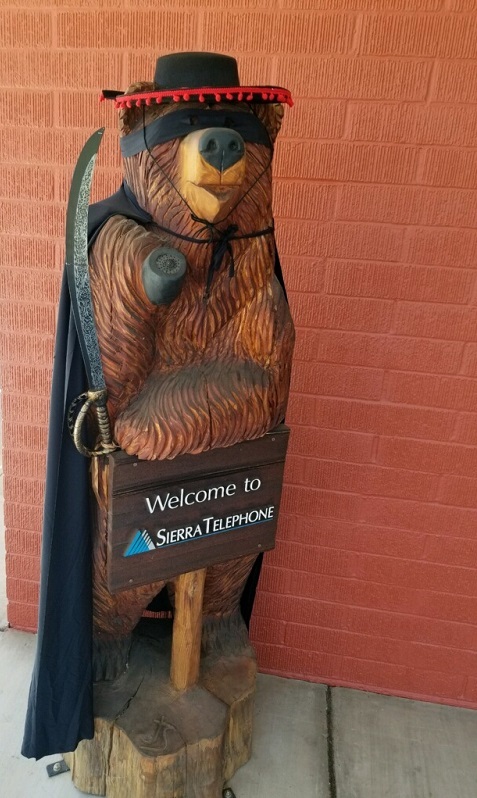 During this unparalleled season in the Sierra foothills, locals and visitors are encouraged to visit the scarecrow sites, along with a host of local events. The contest has grown in reach as the years have flown, even if the arms are made of straw. With scores of merchants and community participating, organizers are encouraging scarecrows to be up and ready by Monday, Oct. 8. “I am a huge fan of October, Halloween, fall and really anything having to do with decorating, blinging things up and raving a place out,” explains Branches’ Anne Driscoll with her welcome enthusiasm. 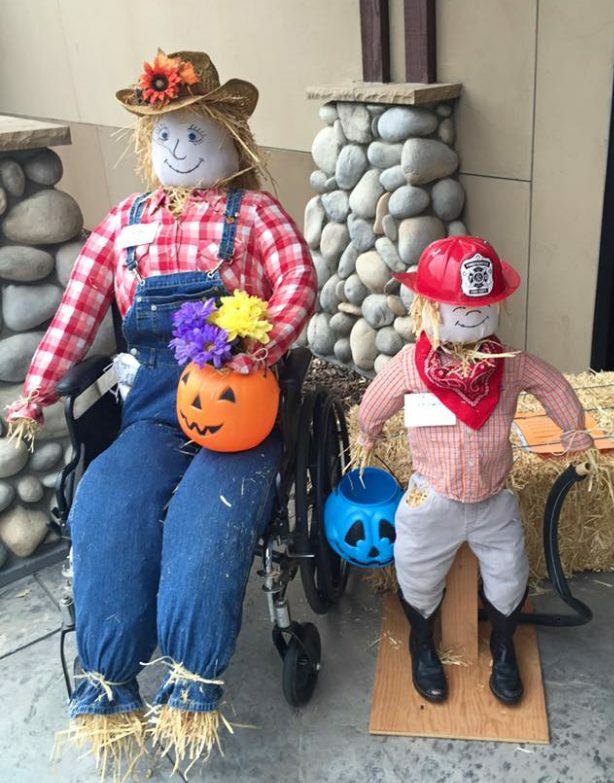 We caught up with Anne while she was scouting for Halloween lights, and she reminded us that Oakhurst Physical Therapy has won the scarecrow contest for three years running. Will this be the year and the champs are dethroned? 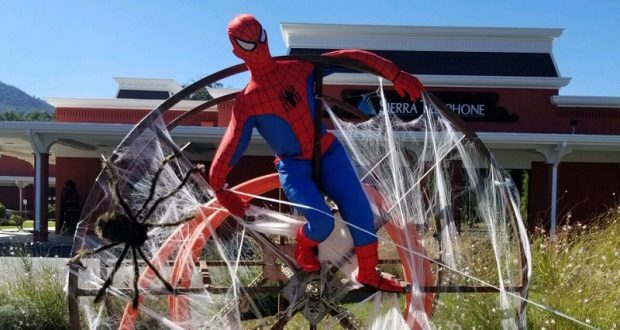 Sierra Tel has come out strong with their arachnid superhero theme — all bets are off. This event is not affiliated with any entity. It was designed as a way to bring together the community. All are welcome to participate. Winners will be notified by Friday, Nov. 2.